Back to school isn’t just a scary time for kids. It’s stressful for us too. The list of things to worry about is a mile long. And, in particular, for us socially awkward, super shy, introverted moms in addition to worrying about whether our kid is going to fit in, whether he’ll make friends, let’s be honest aren’t we feeling a little anxious ourselves about meeting the other moms and making new friends? Over the next few weeks, you’ll be heading to your kid’s school’s open house or parent’s night, or a PTA meeting, dance class, or soccer practice. Or, waiting in line with the other parents to pick up your kid at the end of the school day. We want to give you the confidence you need to get off the sidelines and into the game. 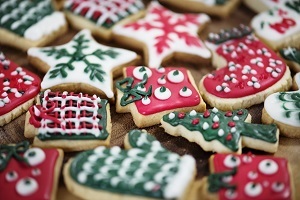 Give these tips and funny icebreaker questions a try – and let us know how it goes! But before we get to the icebreakers let’s cover some of the basics! Tip #1: Remember to smile and make a little eye contact. Mind blown? Ok, we know this is pretty basic stuff but you wouldn’t believe how many of us don’t do this. 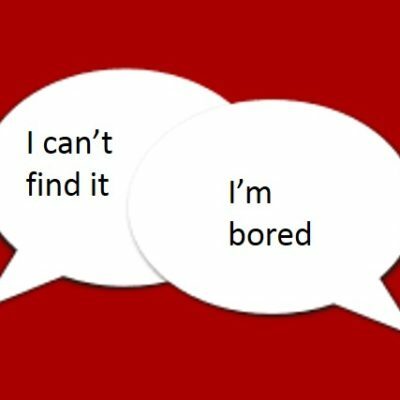 We walk into a room staring at our phones, or allow our inner worry to park itself right on our face – why would anyone want to chat with us when our expression says, “leave me alone”. Tip #3: Compliments, Compliments, Compliments. 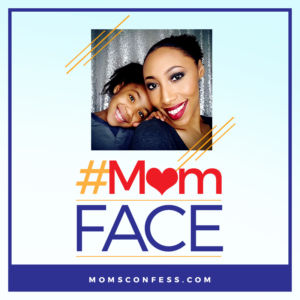 What do moms love almost as much as wine and coffee? Compliments. This works. Every. Single. Time. Try it. Now, once you’ve gotten through the basics and find yourself surrounded by a few moms, who are just standing around failing miserably at starting conversation try changing the mood with one of these funny icebreaker questions. 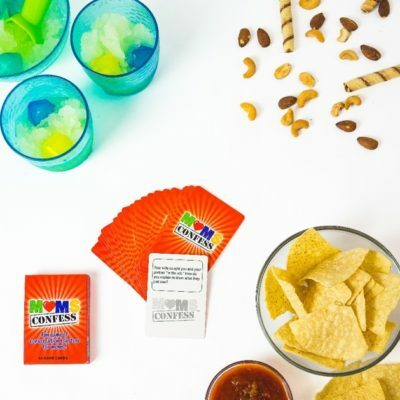 They will undoubtedly help you and your new mom friends connect and get to know one another. Go ahead give them a try! 1. What wine pairs best with back to school? 2. If your alarm doesn’t go off in the morning will your entire household oversleep? 3. What are you most likely to forget this school year? 4. What item will your kid lose over and over again this school year? 5. What type of homework assignment do you dread helping your kid with? Don’t miss the opportunity to build relationships with the moms of your kid’s classmates. You never know when you might need one of them to text you the homework assignment your kid forgot to bring home with him. Moms need mom friends! Had fun with these icebreaker questions? 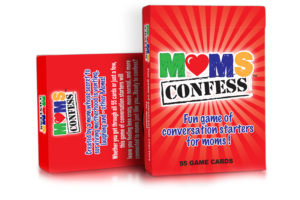 Check out the Moms Confess card game! 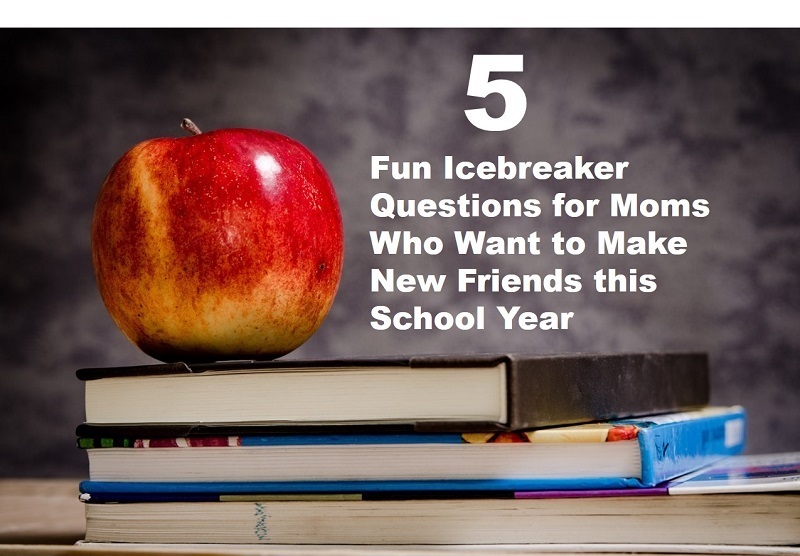 It contains 55 hilarious icebreaker questions designed to help moms laugh, vent and connect. Play them at your next mom’s night out event!